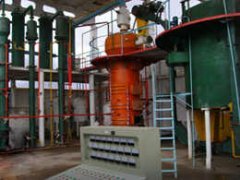 The soybean oil press process is relatively simple and can be based on the overall soya oil production process and product quality requirements, select the press, pre-press, cold pressing, hot pressing different oil extraction processes. 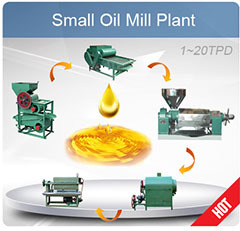 Simply take the soya oil pressing process can be taken once or twice squeezing press, mainly used in small-scale production and soybean oil processing plant, or sesame oil, fragrant peanut oil and the like. 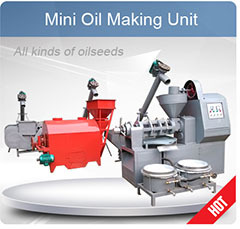 When pressing or pre-pressing process soya oil are made of hot-pressed, only when the press cake is used as soya oil production or medical production of raw materials, use only cold process to extract oil. 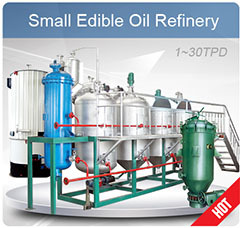 In the cold pressing process because of the lower parison temperature can be maintained during the soya oil press protein invariance, but the cold squeeze lower oil rates. 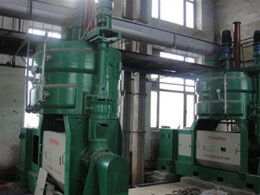 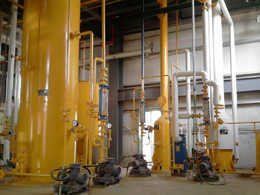 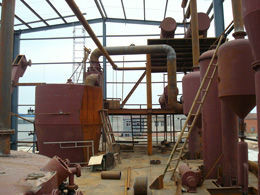 How is the work of soybean oil press ? 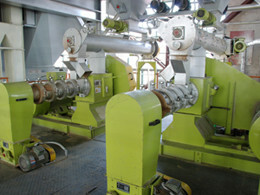 With the expansion of soybean, the expansion of soybean embryo, in order to further damage the structure of oil cells, greatly improve the yield, the feed manufacturers are welcome to the puffed meal.